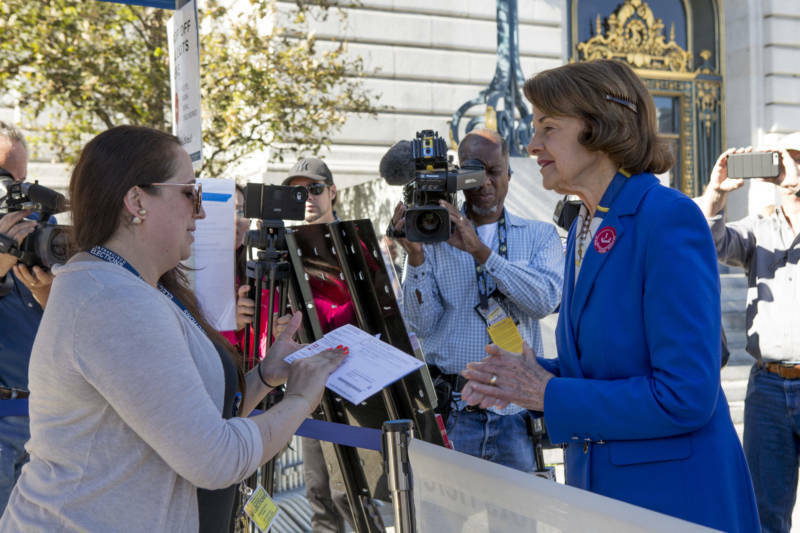 Election nights can quickly become a blur of numbers, predictions and projections — sometimes contradictory and confusing, especially when the election is close, as is expected in many California congressional races. Polls, exit polls, early vote totals and late-night tallies are all competing for attention. So here's some advice on what to look for and what to be wary of tonight. For starters, although we're electing people to 10 offices statewide, including governor and U.S. senator, California is essentially conducting 58 elections, one in each county. The secretary of state collects all the data and reports them as a uniform vote, but how the ballots are counted and when they're reported to the state is all up to non-elected county election officials — and it varies widely. When it comes to reporting election returns, "counties vary by the amount of staff they have, geography, size and population density," said Sam Mahood, spokesman for Secretary of State Alex Padilla. "San Francisco, Los Angeles and Orange are larger counties, and they have more staff, but also a lot more ballots to count." The percentage of voters casting ballots by mail (VBM) is now more than half the electorate. As of Monday morning, more than 3 million VBM ballots had been returned to county election officials statewide. Most of those ballots have already been tabulated, but counties can't report the votes until after the polls close. 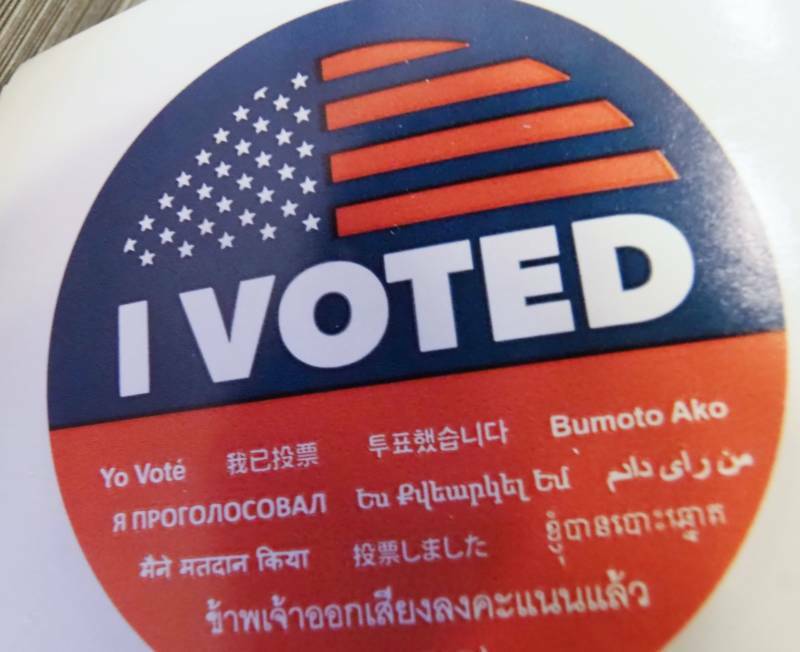 "Scanning of the first received ballots has already started," said Los Angeles County elections Chief Dean Logan. "That started last week." Logan said as of Friday his office had received more than 642,000 ballots, or 23.5 percent of the total VBM ballots issued. "That compares with 15.5 percent in the 2014 midterm election and 13.6 percent in this year's June primary," he said. "That's not quite as high a level of participation as a presidential election, but compared to the last midterm election it's significantly higher." In addition, 14,000 people cast ballots this past weekend at early-voting centers in L.A. County, Logan said. Again, most of these early ballots will be put through the scanner to tabulate them by today, but they won't be announced until after the polls close. Years ago, those early votes, or mail-in ballots (they used to be called absentee ballots), skewed conservative, coming mostly from voters who were white, senior citizens and homeowners. So when the polls closed and the first batch of votes were reported, they always tended to disproportionately support Republican candidates and a more conservative position on ballot measures. That's not true anymore: California has expanded election laws and now allows any voter to permanently vote by mail without any reason. Today, the votes that are released shortly after the polls close at 8 p.m. more closely mirror the overall electorate. As election night progresses and the vote totals start to climb, both the secretary of state and county election web pages will include "percentage of precincts reporting" along with the vote totals. It's important to remember that does not mean all the votes in those precincts have been counted. "After election night, typically what we see is that there's still one-third of the ballots left to be counted," said Logan, the L.A. official. So for close races — for example, some of the hotly contested congressional contests — the final results may not be known for days, or possibly even weeks. Then there's the matter of deciding the winner. KQED does not "call" elections, nor do the secretary of state or county election officials. That's usually left to news organizations. KQED relies on Associated Press, which has access to exit and absentee polling data and sophisticated prediction measurements it uses to declare "projected winners" and "winners." After being burned in past elections, news organizations will be using an abundance of caution before declaring projected winners. It's also important to remember that even when a winner seems evident to some, all the ballots, including those that come in by mail as late as Friday, will still be counted. County election officials have 30 days after the election to report their final certified results to the state. In this era of insatiable demand for information, experts advise caution in reading too much into daily tabulations of the demographics of voters who mailed in ballots or of exit polls that are taken after people vote. What will be needed tonight is generally in short supply these days: patience.